This gorgeous magazine landed on my doormat this morning! 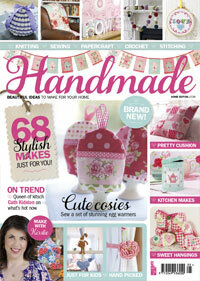 It's a special issue called Handmade from Immediate Media and it's jam packed with ideas for Spring. 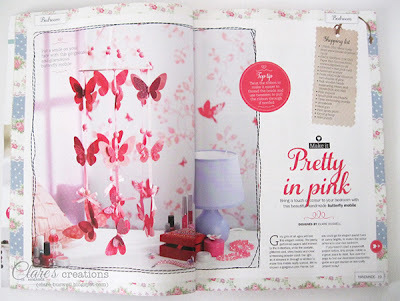 I love it because there's a little bit of everything in it, Papercraft, Sewing, Knitting, Stitching and Crochet, oh and the layout and production is just fabulous!! I have a couple of crafty projects in it, including this butterfly mobile, the magazine includes step-by-step photographs along with the tutorial on how to make it. 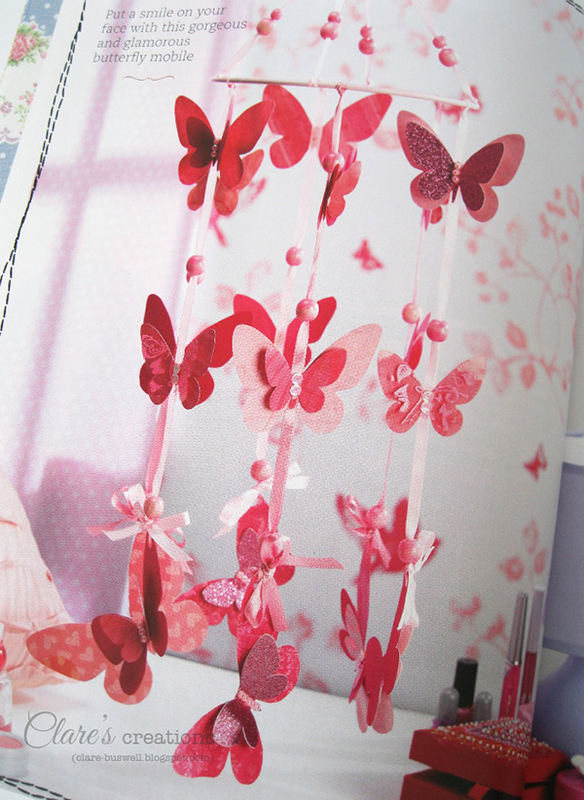 There are templates in the back of the magazine for the different sized butterflies. The finished mobile now actually hangs in my daughter's bedroom and she loves it!! I have two more paper-crafted projects in this special magazine including this Papier Mâché hot air balloon mobile. This was SO much fun to make! 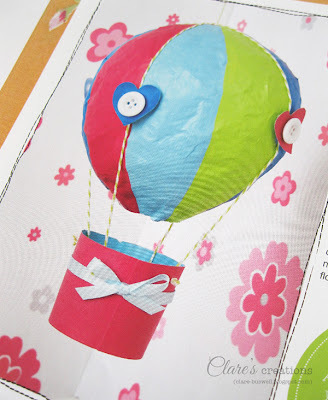 Full details on how to make it are in the magazine. I also made this pretty paper birdcage mobile complete with Papier Mâché birdie! All the details on how to make it are also in the magazine. 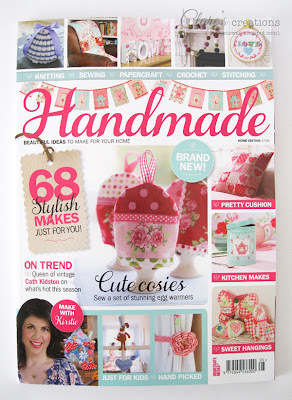 I can't wait to try out some of the great projects in this magazine, first up I think is the Homespun to-do board, it would be perfect for my kitchen! You can pick up a copy of Handmade here. I'm behind with my reading but must search out this magazine! 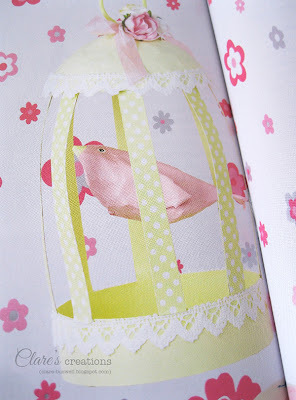 Just love your items but the mobile is the one for me as I love butterflies. Fantastic creations and congrats on the feature. When's the book coming out??!!!! You know that's the next step don't you?